Happy Holidays from Little Trike Media! Welcome to our Lake County Christmas Guide. Make this Christmas merry and bright with Christmas events, Santa visits, holiday lights and more. From discounts to free shipping, by shopping our affiliates you can save on your holiday gift giving and support us at the same time! Be Merry this December with our 24 Days of Merry. 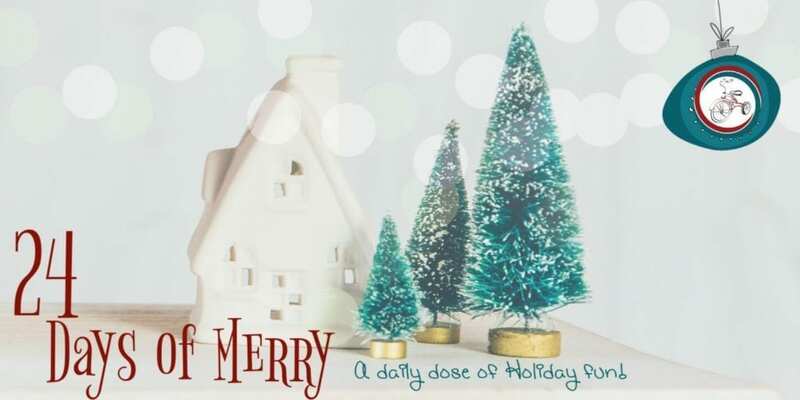 A daily dose of free holiday fun delivered to your inbox. Sign-up today and let the fun begin! Must purchase ticket admission to the Family Aquatic Center. Swim with Santa surrounded by the sights and sounds of holiday music and decorations. It’s an exciting and festive time in Downtown Libertyville during Dickens of a Holiday on Saturday December 7th and December 14th from 10am to 3pm. We hope your whole family can join in the festivities! 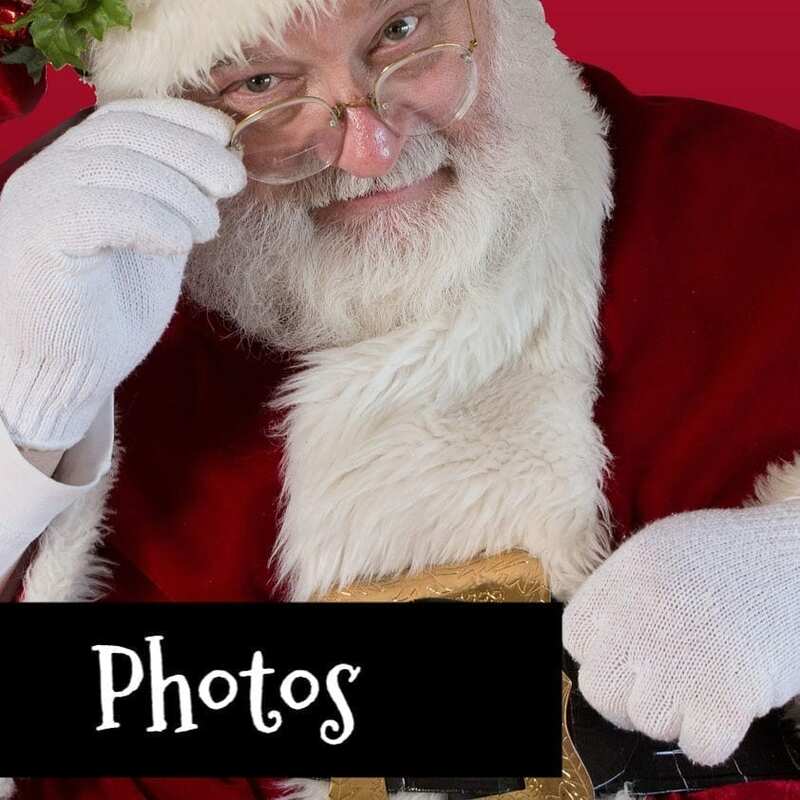 *Photos with Santa in Cook Park – Santa will be in town December 7stand 14th from 10am -12pm & 1pm-3pm to spread cheer throughout. Visit Santa in his sleigh and have your picture taken. Donations to MainStreet appreciated! *Visit the Children’s Holiday Shoppe at Petranek’s Pharmacy in their Community Room! Children can purchase gifts for their family with the help of Santa’s Elves! No adults allowed inside while the children shop for their loved ones. Items priced up to $6. *Donations of non-perishable food items for Libertyville Township food pantry appreciated. *Ansel B. Cook Museum Tours December 7st and 14th from 11am – 3pm! Join us from 3-7pm on Saturday, December 7th in downtown Lake Zurich for our Miracle on Main Street event. This special evening includes a visit from Santa Claus and is sure to be a memorable event for your child. Returning again this year will be a beautiful 35 foot tree to be displayed for the holiday season, an opportunity to meet Santa, Mrs. Claus and their reindeer. Event entertainment includes Lake Zurich High School’s Bare Voices, a DJ and the Academy of Performing Arts. There will be children’s crafts, sleigh rides, adult beverages, and food vendors. Hot cocoa provided by the Lake Zurich Area Chamber of Commerce and hot cider provided by the Lions Club. 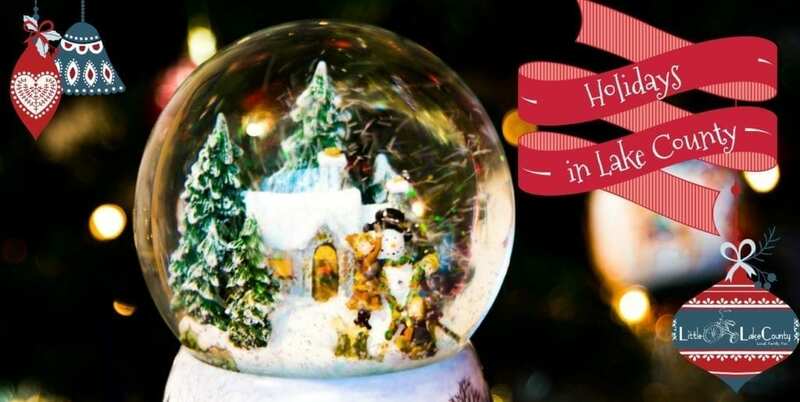 Find all the Christmas Events in Lake County on our calendar. Santa is the guest of honor at meals all over town this month. 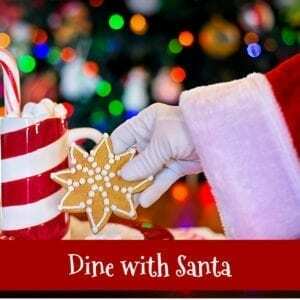 Find all the locations where you can Dine with Santa from Breakfast to Dinner. We know where Santa parks his sleigh! Find all the places where you can catch the big guy and don’t forget the camera! Find Santa in Lake County. What to do if Santa is Scary? Put your feet up in Santa’s living Room. 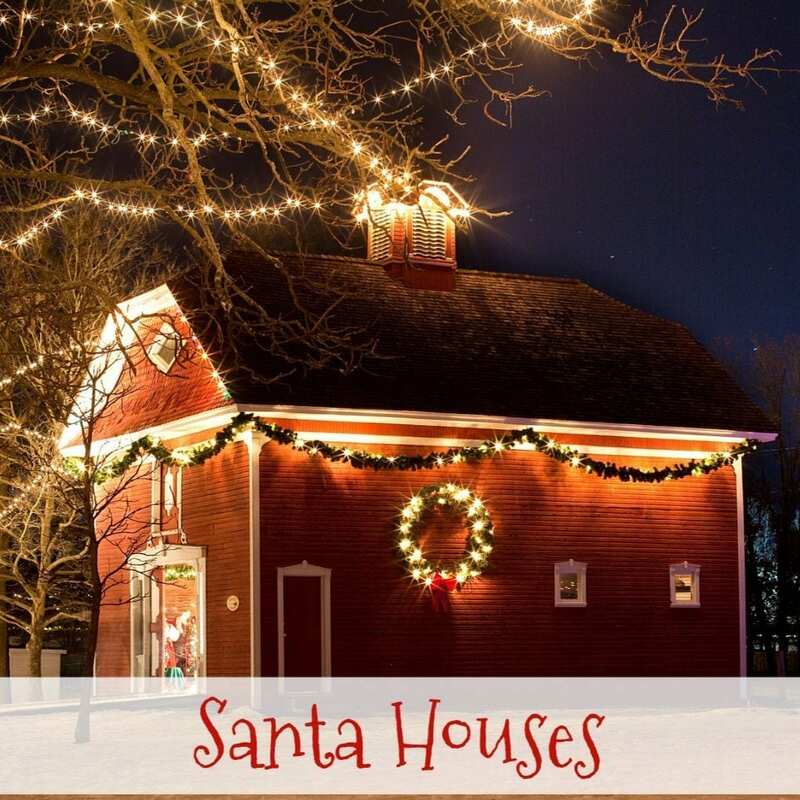 Visit a Santa House in lake County. Find all the sparkles from drive-thru festivities to great neighborhoods where you can see Christmas Lights in Lake County. 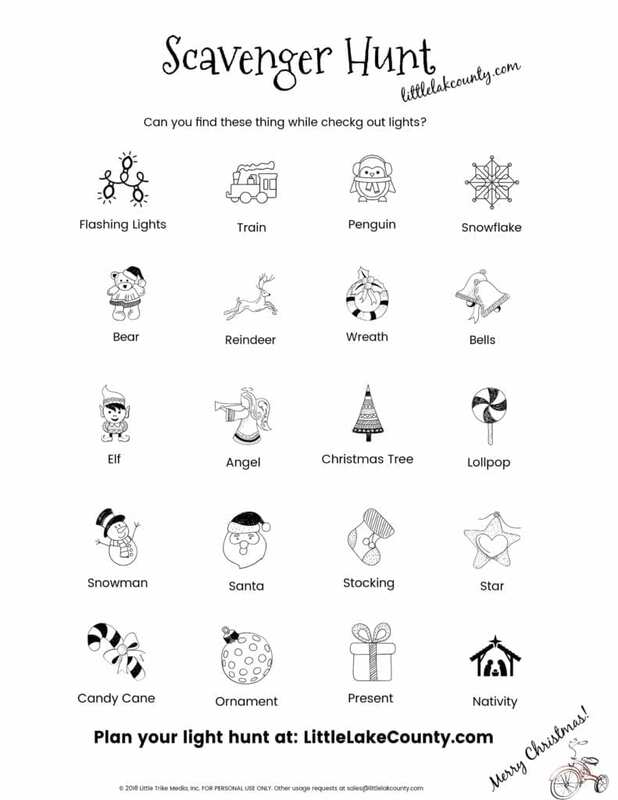 Print out our fun scavenger hunt and take it with you! 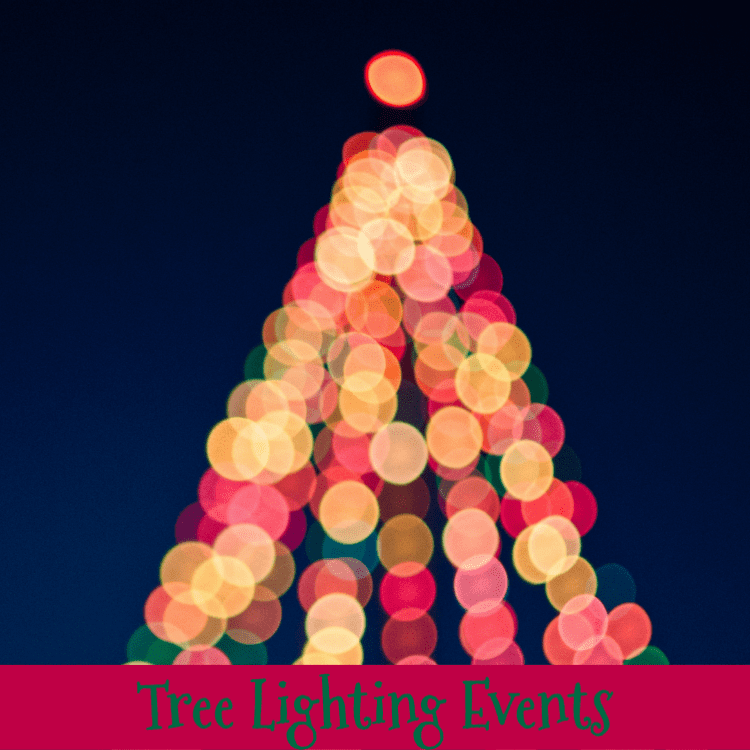 Kick off the holiday season at Tree Lighting Event. These events vary from small celebrations at the village hall to lighted parades. Many of the Lake County Tree Lighting events include a visit from Santa. Use the map located in our guide to find Tree Lighting Events near you and light up your holidays! If you’re up for a drive, check out Illumination at the Morton Arboretum in Lisle. Celebrate the Season and meaning of Christmas at a Live Nativity Performance in Lake County. Take family movie night to the big screen with a Holiday Movie in Theaters. Savor the Holidays with an Afternoon Tea in Lake County. Your tiny conductor will love the sights and sounds of a Holiday Train Event in Lake County. From model trains to Christmas Train rides there is something for everyone. Can’t make it out? Jennifer tells you how to create your own Polar Express Party at home. You don’t have to book a flight to Germany to experience the wonder of a Christkindlmarket. Holiday Children’s Theatre in Lake County takes you beyond the Nutcracker to holiday favorites and youth theatre performances. Leave the mess in someone elses kitchen! Head to Taste Buds Kitchen Bannockburn for a family Gingerbread House workshop. 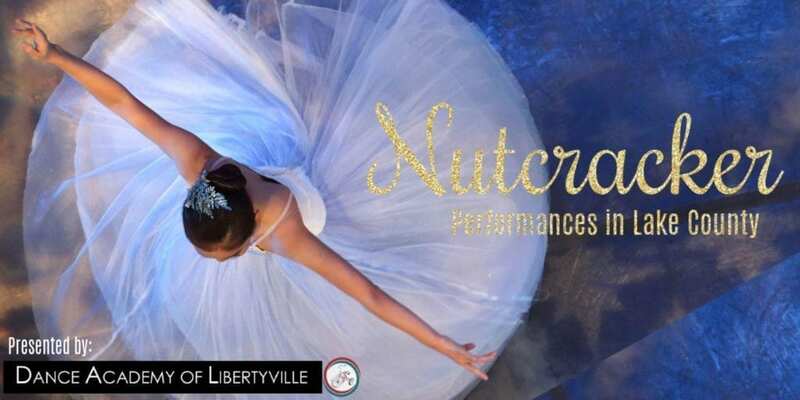 The Nutcracker is a Holiday Tradition, find a performance near you! Clara’s Dream is a special shortened Nutcracker performance that Dancenter North puts on that is perfect for preschoolers.